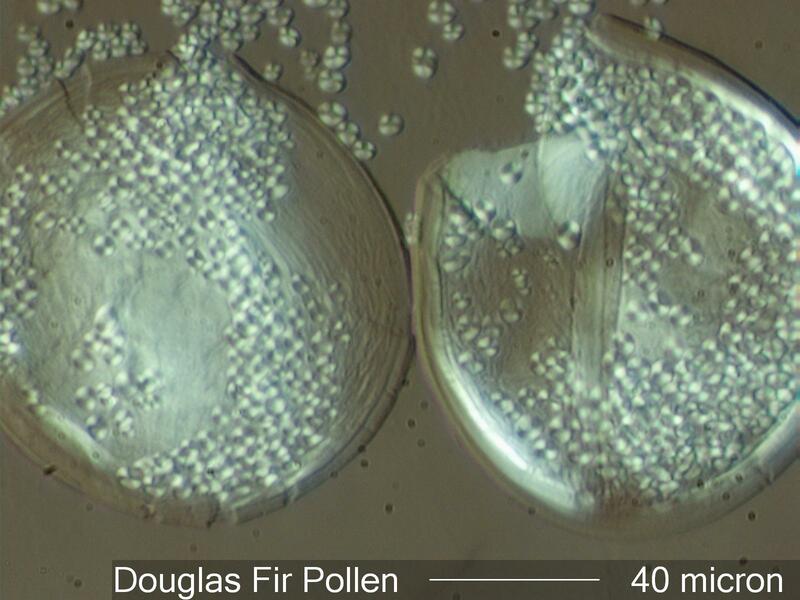 This is pollen collected by tapelift from an automobile windshield during April in Western Washington State. The mounting medium has a refractive index of 1.49. The windshield was yellow with the coating of pollen. Douglas fir pollen is inaperturate and filled with starch grains. The released starch results in a sticky deposit on the windshield.